A worrisome habit is arising among some American politicians. They don’t like what scientists conclude about some supposedly controversial topic so they try to defund the research. A good example of this tactic is climate change—in recent months, we’ve heard of efforts to limit NASA, EPA, NOAA, and NSF funding for research in geoscience. But I wonder whether there’s a fatal flaw here. If you believe fervently that either the planet isn’t warming up—despite the recent finding that 2015 was the hottest on record—or, if it is, that humans are not contributing to the rise, then it might seem prudent to provide abundant funding to climate scientists so that they can arrive at the truth and vindicate your beliefs. But what if these scientists are finding that there’s no evidence of warming but are lying about it—perhaps because they hold left-leaning views that seek to achieve public support for alternative energy, or maybe they are chagrined that the reason the earth is not warming from the burning of fossil fuels is their models are flawed? Ah, a conspiracy! Despite the oft-cited evidence that at least 97% of the scientists in this field expressing a view on the subject support the consensus that humans are contributing to the planet’s warming, maybe all those scientists—worldwide—are in on the conspiracy. If you believe in this vast scientific conspiracy, it seems to me that you can’t have much faith in the view of reality that science proffers. Fine, you can hold any beliefs you want. But if virtually all climate scientists are untruthful, can you have faith that others in similar professions, say biologists and physicians, are honest? Let’s consider a medical example. Some of those disbelieving the consensus on climate change are likely to have high LDL cholesterol (the bad form), a “supposed” risk factor for heart disease. As a consequence, they may have been given a prescription by their doctors for a class of drugs known as statins. 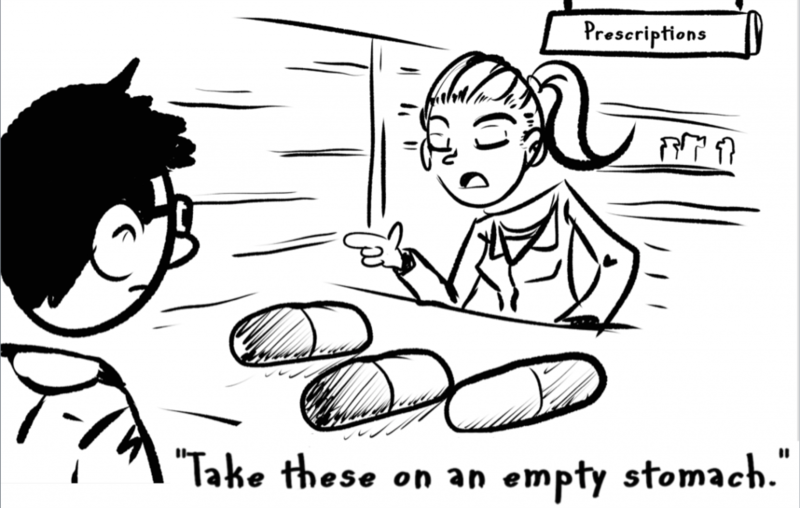 They likely were dutiful in filling their prescription and now take a pill everyday that contains a statin. But I have to ask: should these patients be taking this pill? Why would anyone believe that statins lower LDL cholesterol? Well, scientists would be quick to cite studies that “demonstrated” just this outcome, such as an influential Scandinavian study in the 1990s that “showed” that statin treatment could reduce cholesterol levels and led to a 30% decrease in the risk of death over the trial period. But could those researchers who carried out that study have been secretly paid by a pharmaceutical company to show that statins were effective even though they weren’t? And maybe similar shenanigans happened for all the other published studies on statin efficacy. Ah, a conspiracy! As geneticists, should we care if climate research is defunded, other than that the earth may become a lot more inhospitable to our children and grandchildren? Sure we should. If this tactic works, maybe the next target for defunding is stem cells. Or vaccines. Or studies that rely on evolutionary principles. Or Drosophila development and C. elegans neurobiology. Or even: investigations into the causes and treatment of heart disease.